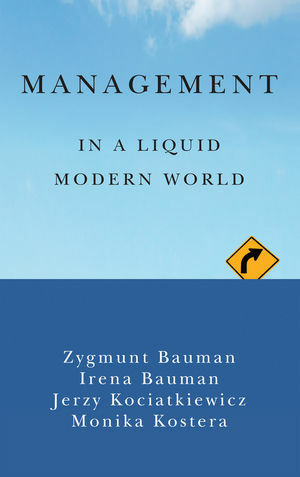 Management has been one of the driving forces of the last century, indeed an idea and a language that colonized most other institutions, areas of human activity and walks of life, even those that had until recently been regarded as completely unmanageable, such as art, academia and creativity. Some it supported and others it destroyed, but there are few areas in modern societies that have been untouched by it. What is the meaning of management now almost omnipresent and all-powerful in our current bleak times, in our current state of ‘interregnum’ that is characterized by an increasing sense of insecurity and hopelessness, a time when, paradoxically, the seemingly omnipotent force of management does not seem to work? Does it have a role to play today and in the future? What can it become and whom should it serve when the interregnum is over and a new, hopefully more humane, system begins to dawn? These are some of the questions explored in this timely new book by Zygmunt Bauman, one of the greatest thinkers of our times, architect and Urban Studies professor Irena Bauman, and two organization and management scholars, Jerzy Kociatkiewicz and Monika Kostera. ZYGMUNT BAUMAN (1925-2017) was Professor Emeritus of Sociology at the University of Leeds, UK. His many books have become international bestsellers and have been translated into more than thirty languages. IRENA BAUMAN is Professor of Sustainable Urbanism at the University of Sheffield, UK. She is a practicing architect and cofounded Bauman Lyons Architects in 1992 in Leeds, UK. JERZY KOCIATKIEWICZ is Senior Lecturer in Management at the University of Sheffield, UK. MONIKA KOSTERA is Professor of Management at the University of Warsaw, Poland, and is a Guest Professor at the Universities of Linnaeus, Sweden and Leeds, UK. She is the author of over 30 books in Polish and English. ZYGMUNT BAUMAN is Professor Emeritus of Sociology at the University of Leeds, UK. His many books have become international bestsellers and have been translated into more than thirty languages. Author 2 IRENA BAUMAN is Professor of Sustainable Urbanism at the University of Sheffield, UK. She is a practicing architect and cofounded Bauman Lyons Architects in 1992 in Leeds, UK. Author 3 JERZY KOCIATKIEWICZ is Senior Lecturer in Management at the University of Sheffield, UK. Author 4 MONIKA KOSTERA is Professor of Management at the University of Warsaw, Poland, and is a Guest Professor at the Universities of Linnaeus, Sweden and Leeds, UK. She is the author of over 30 books in Polish and English.